Liverpool trio Joe Gomez, Jordan Henderson and Trent Alexander-Arnold have been called up by Gareth Southgate for England international duty. England will face the United States for a friendly at Wembley on November 15, a fixture that will see Wayne Rooney return to the national side for one final time. Southgate’s side will then face Dejan Lovren’s Croatia three days later, again at Wembley, as they look to trump Spain to the top of the UEFA Nations League group 4 table. Alexander-Arnold, Gomez and Henderson will all depart for international duty following Sunday’s lunch-time game against Fulham, despite all three carrying knocks. Alexander-Arnold was replaced at half-time against Red Star Belgrade on Tuesday, having sustained a minor injury, but will be fit enough for this weekend’s fixture. Gomez, meanwhile, suffered a knock to his heel against Arsenal and despite featuring against Red Star, is a doubt for the fixture against Fulham. 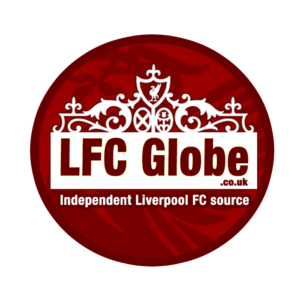 Henderson, who has not featured for the Reds in three weeks after injuring his hamstring against Huddersfield Town, is also somewhat of a surprise inclusion, given his lack of match-fitness. The Liverpool skipper remains a doubt against Fulham, having only just returned to full team training this week, but is likely to be included on the bench. England are currently two points behind group leaders Spain, who they beat 3-2 last time around thanks to a brace from Raheem Sterling and Marcus Rashford.